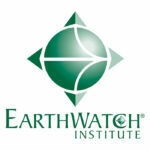 Earthwatch empowers people to save the planet by engaging them with the critical environmental issues we face: the impacts of climate change, the declining health of our rivers and oceans and the loss of wildlife. At Earthwatch we change hearts and minds of both individuals and organisations. We inspire action by raising awareness, changing behaviour and developing leadership. We create knowledge through education programmes, employee engagement and by bringing scientists and communities together. Central to our approach is the use of citizen science, whereby people gather data to generate environmental insights and inform future policy. By working together we deliver the change necessary for a sustainable future.